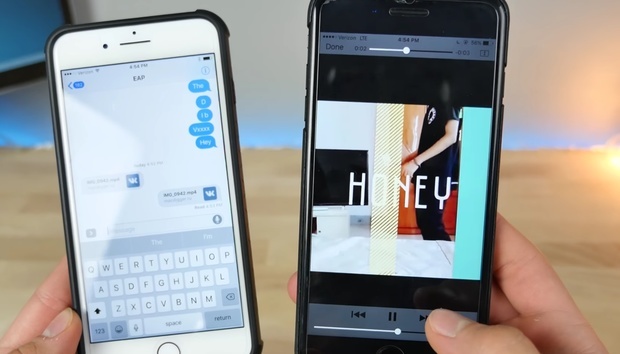 Beware the 5-second video that will bring your iPhone to a complete halt. This week, a corrupt video link with the potential to crash any iOS device started making the rounds. Clicking on the MP4 link in question will play a video that will cause your iPhone, iPad, or iPod touch to overload and eventually freeze to the point of making the Home button, the power button, and the touchscreen totally unresponsive. The only way to get your iOS device working properly is to perform a hard reset. According to The Verge, clicking the link generates a loop that will force your iPhone to crash about 10 seconds after the short video ends. The Verge tested the link on several devices running iOS 10.1, as well as the iOS 10.2 beta. They all became unresponsive. In addition, EverythingApplePro tested the link on devices running as far back as iOS 5, all to similar results. There’s a video demonstrating the crash below. You can also see what the link looks like so you can avoid it at all costs. The impact on you: If you’ve fallen victim and have already played the video, don’t fret. Thankfully, there’s a pretty simple solution to recovering your iPhone after watching the corrupt video. You will need to reset your iOS device by long-pressing the Home button and the power button simultaneously until you see the Apple logo. If you’re trying to reboot a new iPhone 7, you can do so by long-pressing the power button and the volume-down button at the same time. According to 9to5Mac, there doesn’t seem to be any long-term effects from playing the video. Regardless, it’s very likely that Apple will address this in a forthcoming iOS update, so stay tuned for that.